To bring together knowledgeable practitioners in the social economy with researchers working in the field. To define the nature of the social economy in Nunavut, and in Northern Canada. 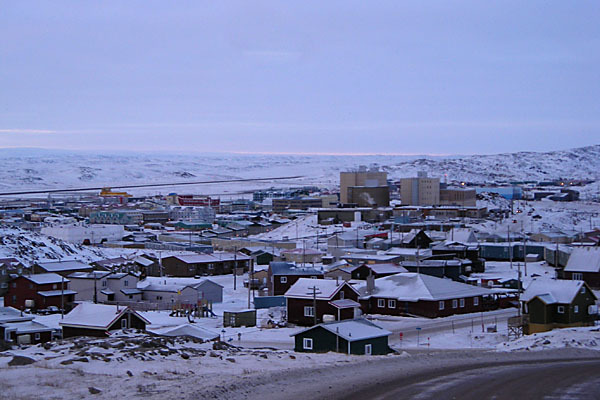 To explore what current research on the social economy in Northern Canada offers social enterprises confronting the issues and challenges of operating in Nunavut. To identify and elaborate the role of Inuit organizations in the social economy. To highlight best practices among social enterprises in Nunavut. To review and critique the role of public policy that applies to the social economy, including helping government understand its role in supporting social enterprise. To enhance the awareness of the broad importance and scope of the social economy in Nunavut among practitioners and the public, and, in particular, youth. To build knowledge of the social economy and best practices in the sector in other areas of Canada. 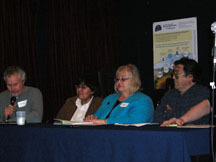 To link Nunavut to the national network of community practitioners and researchers in the social economy of Canada. National Approaches to Social Economy Development: Public Policy and the Social Economy in Canada. By Rupert Downing, Co-director of CSEHub. Click here for the PPT. Building a People-Centred Economy. By Rupert Downing, Co-director of CSEHub. Click here for the PPT. Resources and Tools for Social Economy Development. By Annie McKitrick and Ashley Hamilton-MacQuarrie. Click here for the PPT. Examples of Social Economy Organizations. By Annie McKitrick and Ashley Hamilton-MacQuarrie. Click here for the PPT. The Importance of the Social Economy in Nunavut. By Glenn Cousins. Click here for the PPT. Introduction to the Social Economy, and the Social Economy in Nunavut by Chris Southcott. Nov 26, 2009. 25.36 minutes, 11.7 MB. Click here for the Mp3. The Importance of the Social Economy in Nunavut by Glenn Cousins. Nov 26, 2009. 21.17 minutes, 9.7 Mb. Click here for the Mp3. Mapping the Social Economy in Nunavut by Chris Southcott. Nov 26, 2009. 12.52 minutes, 5.9 MB. Click here for the Mp3. The State and the Social Economy by Frances Abele, Carleton University. Nov 26, 2009. 14.10 minutes, 6.5 MB. Click here for the Mp3. Indigenous Communities and the Social Economy by Chris Southcott for David Natcher. Nov 26, 2009. 36.54 minutes, 16.9 MB. Click here for the Mp3. The Role of Land Claim Organizations in the Northern Social Economy by Thierry Rodon, Laval University. Nov 26, 2009. 23.10 minutes, 10.6 MB. Click here for the Mp3. Mining and the Social Economy in the Canadian North by Arn Keeling, Memorial University. Nov 26, 2009. 13.32 minutes, 6.2 MB. Click here for the Mp3. by Francis Abele for Sheena Kennedy, Carleton University. Nov 26, 2009. 10.56 minutes, 5 MB. Click here for the Mp3. The Role of Cooperative Enterprise in the Social Economy of Repulse Bay by Jen Alsop, Carleton University. 15.52 minutes, 7.3 MB. Click here for the Mp3. Moderated by Virginia Lloyd, Nunavut Tunngavik Inc., Iqaluit. Click here for the Mp3 file of this panel discussion. 49.22 minutes, 22.6 MB. Public Policy and the Social Economy in Canada by Rupert Downing. Nov 27, 2009. 39.41 minutes, 18.2 MB. Click here for the Mp3. Resources for the Social Economy Development by Annie McKitrick. Nov 27, 2009. 12.20 minutes, 5.6 MB. Click here for the Mp3.